OLIVIA NEWTON-JOHN : The New Diva Of The Week! Divas Chart : CHER Enchants with FERNANDO! 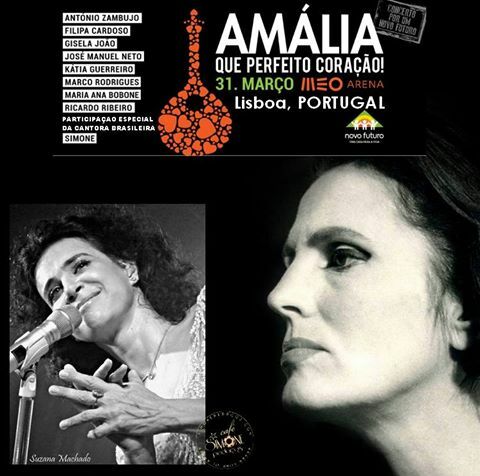 Brazilian Diva, Simone Bittencourt De Oliveira will be part of an entire show given as a tribute to Portuguese Diva, Amália Rodrigues.I am really excited to know this. The show will take place in Lisbon, at Meo Arena, a few km’s from my home. The show will have several guests, among them, Kátia Guerreiro or Gisela João. I will surely be there. Will you?